A Leeds-based creative content studio, whose clients include M&S, La Redoute and Kellogg’s, has relocated following £300,000 investment. 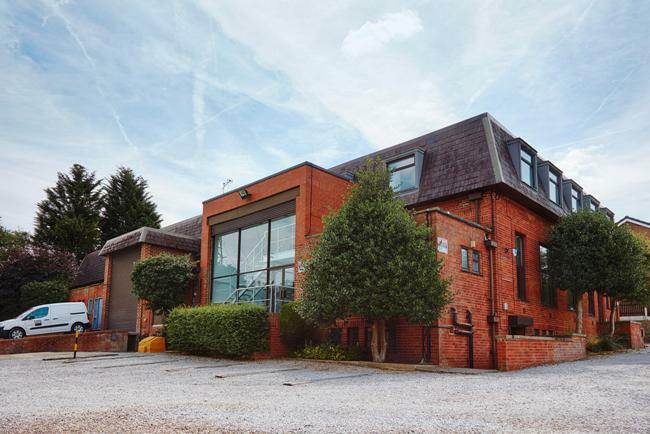 Powerhouse – which has provided photography and videography to top UK brands, as well as Yorkshire names, such as Bettys, since 1999 – completed the move earlier this month, after purchasing the 14,000 sq ft building in February. Nine months of renovations have seen the organisation create a seven-studio, purpose-built building, allowing the firm to strengthen its service offering and expand its specialist team, paving the way for expected growth over the next 12 months. The new space includes nine kitchens, a daylight studio, an infinity cove – for fashion clients, such as La Redoute – and a comprehensive prop house. Offices for the 25-strong team and a breakaway space for staff and clients to enjoy lunch – which is provided onsite daily – were also built during the renovation period. Neil Adams, managing director of Powerhouse, said: “Our breadth of projects can range from one photo for a local restaurant, up to 1,000 varied fashion shots for a national retailer. We therefore need to be able to offer a flexible, affordable service for all clients. Alongside the relocation, Powerhouse has made a number of strategic hires, including Tom Gabbutt, who has joined the firm in the newly-created role of Creative Content Director – having previously worked at the BBC. Jo Kendall has also been appointed as Executive Producer, as well as a number of specialist creative photographers. Neil added: “Our new hires will help us to consolidate our growth plans over the next 12 months. Tom, for example, has helped us to offer something new to clients and agencies. Traditionally, photography studios have looked at the needs of a campaign or project in isolation. “We now take a holistic view at content needs; with photographers shooting simultaneously for different requirements, including social media, PR, advertising, direct marketing, and so on. It’s a very efficient, unique way to work. Powerhouse’s clients include Morrison’s, Freemans, Quorn, M&S and Iceland, as well as leading creative agencies. The business was founded in 1999 and provides a full service to brands, including photography, videography, set-building/styling, the provision of props and an editing suite.